Ubuntu panel without shadow - It depends from person to person. Some like to use the default graphical interface and vice versa. Yep, it's totally your preference. 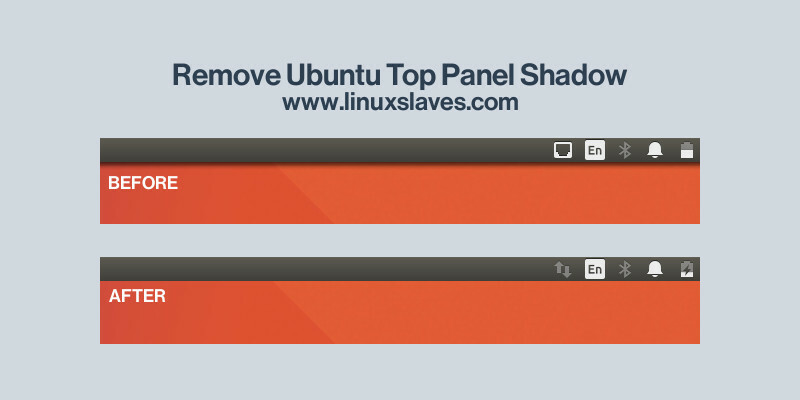 For any reasons you may want to remove the shadow from Ubuntu's top panel. Step 1 - First, create a transparent image using Gimp, Inkscape or other drawing software. The size? It's 1x12 pixel. Export the image to "panel_shadow.png" ( without quotes ) to the specific directory, e.g Pictures. The commands above means to backup the original shadow panel image. Note, change ~/Pictures with exported image folder location. Step 4 - Once copied, logout or reboot your Ubuntu to see the changes. Cheeers, the Panel's shadow has gone! Need more things to make your Ubuntu like a home? Head to our themes section to find out. 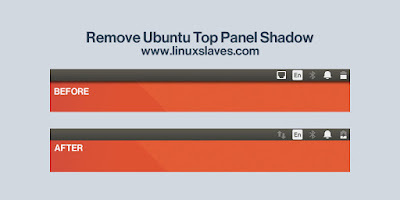 These were all to remove Ubuntu top panel's shadow. Hope you've enjoyed reading this post. Thanks for visiting us!